A Scottsdale homeowners insurance policy is a must. Natural disasters, fires and other perils can cause us to lose everything. Claims adjustors and restoration contractors often hear people say, “I never thought this would happen to me.” And while we can only do so much to protect our homes and possessions against loss, there are steps we can take to make sure they are replaced. Few people know exactly what they own. Therefore, they can’t remember or don’t always list everything in the event of a loss. Without a home inventory, it’s almost impossible to prove your losses to the insurance company. 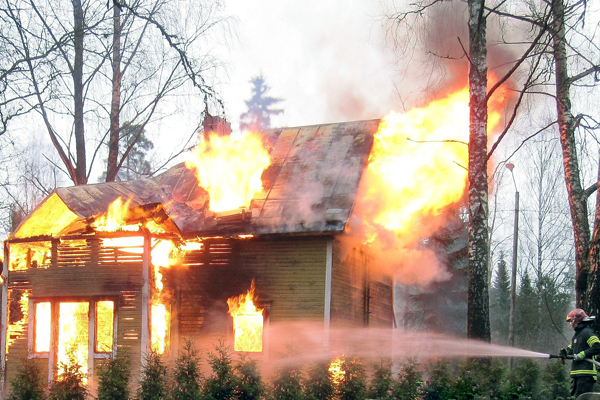 When a fire or a natural disaster occurs, often the event is so stressful people are preoccupied with so many other things they forget about some possessions or incidental items. Scottsdale homeowners insurance experts encourage you to create a complete home inventory. You can do this in a few different ways. There are free software programs available for download that will help. You can also take videos of your possessions and dictate the price and date of purchase. Take photos and store them in the “cloud” on the Web, in a safe deposit box, at the office, or at a friend’s or relative’s house. List your possessions individually and keep the list organized and categorized with headings such as “Furnishings,” “Accessories,” “Clothing,” etc. Having an inventory and listing your possessions in checklist format will help you if you have a partial loss, theft or other claim. Remember, having a home inventory may mean the difference in being fully reimbursed or not. Don’t suffer loss a second time. Heed this Scottsdale homeowners insurance suggestion today… you may be glad you did tomorrow. See more news pertaining to Scottsdale homeowners insurance under our Scottsdale Insurance section of articles to your right just below our Scottsdale Real Estate Categories. We also post tips on Facebook and Twitter. Follow us there for many other real estate related news articles and tips, as well. Your Scottsdale Homeowners Insurance: Are You Covered? Your Scottsdale homeowners insurance policy provides coverage against most perils and damages. There are some, however, that are not covered. Unfortunately, those are usually the ones that catch you off guard — and they can be expensive. While every policy is different, you should peruse your Scottsdale homeowners insurance coverage to see if you're protected against termite infestation and mold damage. Contrary to popular belief, mold can rear its ugly head in almost any household. It's not uncommon for even the best maintained home to have a little mold somewhere. The most dangerous thing about mold is that it doesn't go away on its own, and unchecked it can spread undetected. Because hazardous mold problems can affect the health of the home's occupants, mold infestation should be treated immediately. Mold is caused by excess moisture. Mold spores can thrive by coming into your home through windows and doors. A common cause of mold is a leak somewhere in your home. If the mold is a result of a leak that occurred due to a covered peril like a damaged roof or a water pipe that burst, it could be covered by your Scottsdale homeowners insurance policy. However, most homeowner's insurance policies contain specific mold exclusions. If the mold is a result of poor room ventilation, excessive crawlspace moisture, unrepaired water leaks or lack of home maintenance your policy probably doesn't cover it. One of the biggest causes of mold damage is flooding. Since most standard Scottsdale homeowners insurance policies don't offer flood insurance, you'll find that unless you have a specific flood policy you won't be covered for mold damage caused as a result of flooding. To be absolutely sure about mold coverage, talk to your insurance company. Another common problem that can plague a homeowner is termite infestation. Untreated or ignored, termites can cause serious structural damage to your home. In addition, as a general rule termite damage isn't covered by most Scottsdale homeowners insurance policies. 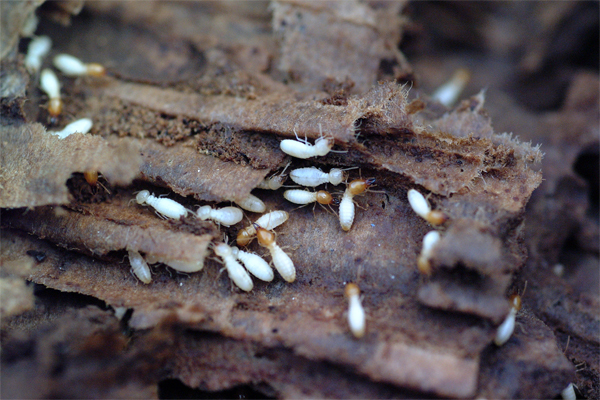 It's estimated that termites are responsible for over $5 billion in home damages each year. There are several steps you can take to prevent termite infestation and damage. Soil treatment, termite barriers and other preventative measures can give you peace of mind and guard against damage. Because termite damage isn't covered by insurance, it may be a good idea to consider hiring a pest control company to make sure your home is termite-free and that it stays that way. Again, consult your Scottsdale homeowners insurance professional to find out what your coverage includes. And, since mold and termites typically aren't covered, they are probably good reminders that good home maintenance can prevent potential damage from those sources. The old adage, "An ounce of prevention is worth a pound of cure" certainly applies when it comes to the value and condition of your home. Since having a good Scottsdale homeowner's insurance policy on your home is one of the most important things you can do, it's important to note these tips. They will assist you in understanding your policy and procedures. 1.) Avoid Making Small Claims – Insurance companies can and will drop coverage if you have several small claims. To avoid this, increase your deductible and pay for small incidents out of pocket. Not only can you save up to 25% on your Scottsdale homeowner's insurance premiums, you'll probably save money in the long run. 2.) Get a CLUE – Insurance companies use a service called a Comprehensive Loss Underwriting Exchange (CLUE.) Check the report for errors that may hamper coverage in the future. Visit choicetrust.com to review your report. 3.) Make Sure You Have Enough Coverage – If you’ve made significant improvements or additions to your home, you’ll want to make sure you have sufficient coverage. Your Scottsdale homeowner's insurance premium will likely increase only a small amount, but you’ll have peace of mind knowing that your home is covered for its entire value. 4.) Use an Independent Agent – An independent agent can assist in shopping for the best coverage and most economical premium on your Scottsdale homeowner's insurance policy. 5.) Find Out What’s NOT Covered – Be sure to know what perils may not be covered. Occurrences such as floods or sewage back-up are probably not covered in your Scottsdale homeowner's insurance policy. There are separate coverages available for these perils. Get more news on Scottsdale homeowner's insurance by reading the other articles we have in the section on Scottsdale Insurance under Scottsdale Real Estate Categories to the right, and by following us on Twitter and finding us on Facebook. Most people know and understand that you can lower the monthly premium on your Scottsdale homeowners insurance by raising your deductible. But whether it makes sense to do so can vary. The deductible is the amount of a loss you must cover out of pocket. The deductible for a Scottsdale homeowners insurance policy typically ranges from $500 to $1,000, but may be as low as $250 or as high as $5,000. An analysis done for an online insurance site found that raising a deductible to $2,000 from $500 lowers the average annual premium by a wide range, depending on where you are, anywhere from 6 to 40 percent. For the analysis, the study was based on premiums for a two-story, single-family home insured for $140,000 (which is a price range that is a challenge to even find anywhere these days). The catch of a much higher deductible, of course, is that you risk not having enough cash on hand to cover the deductible if you need it. Many Americans lack significant savings, so paying several thousand dollars to cover a major loss may be a stretch. Homeowners with a robust emergency fund can afford to raise their deductible, but if you're living paycheck to paycheck, or if you're not a consistent saver, be careful. Plus, if you raise your deductible significantly, that means you’ll be responsible for more minor damage. You’ll be self-insuring for smaller losses. Many insurers offer discounts if you buy multiple policies, like Scottsdale homeowners and automobile coverage, or if you take steps to reduce risk, like installing security or sprinkler systems. Others may offer a discount if you have your premium automatically deducted from your bank account. So you should check with your insurance agent. Also, according to the Insurance Information Institute, If you’re at least 55 years old and retired, you may qualify for a discount of up to 10 percent from some insurers (the rationale being that you’re probably at home more, so you may spot potential problems more quickly). To get more information on Scottsdale homeowners insurance and how premiums are calculated for different homes and different coverages, check out our other articles over in the Scottsdale Insurance section under Scottsdale Real Estate Categories. We also offer tips on a daily basis on Twitter and our Facebook Page. Some of which may deal with Scottsdale homeowners insurance. Check us out there as well. Scottsdale homeowners insurance is something many home buyers don't have first and foremost on their minds when thinking of buying a new home, but your Scottsdale homeowners insurance could add up to a major expense if you don't keep some things in mind. Depending on your 'up front' rate, there are some things that could make your Scottsdale homeowners insurance rate rise in the future to become a major expense. With added risks, homeowners should take action to do all they can to prevent home insurance from spiraling out of control. Rethink certain home additions – Although adding a new feature to the home like a swimming pool seems like a great way to boost the home's value and fun at the same time, adding on a pool may increase your Scottsdale homeowners insurance. 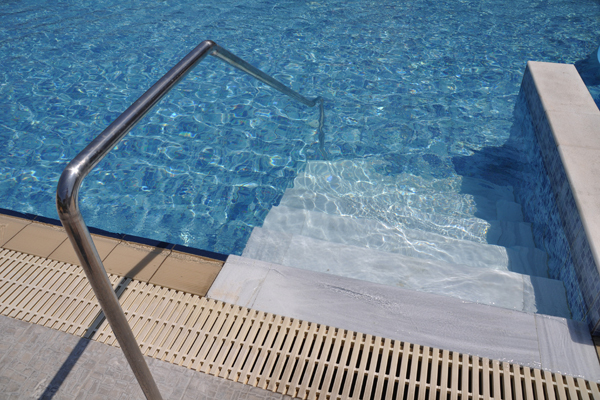 Attractions like swimming pools will likely lead to a greater chance that someone will be involved in an accident and having a liability claim could result in higher insurance rates. Keep credit accounts current – Lenders usually look at credit scores to calculate Scottsdale homeowners insurance rates and if homeowners do not keep their accounts in good standing, this could mean elevated rates. Make sure to pay credit obligations on time, avoid unnecessary debt and do not close older accounts to keep credit scores high. Choose your next home's location carefully – Scottsdale homeowners insurance costs could be lower by moving to homes that are relatively new. House hunters should look for houses that have electrical, heating and plumbing systems that are less than 10 years old. There are also certain safety features near homes that could make a difference, such as, if a fire hydrant is close to the property. Prospective homeowners looking to find a home that could reduce their Scottsdale homeowners insurance costs can contact us to learn more about finding a home with potentially lower insurance costs. Find more articles pertaining to saving money on your insurance costs under our Scottsdale Insurance Info to your right under Scottsdale Real Estate Categories. We also post tips on Facebook and Twitter. Follow us there for many other insurance related tips as well.